Welcome to the Wiki for Manitou-Mail, a database-driven mail user agent. 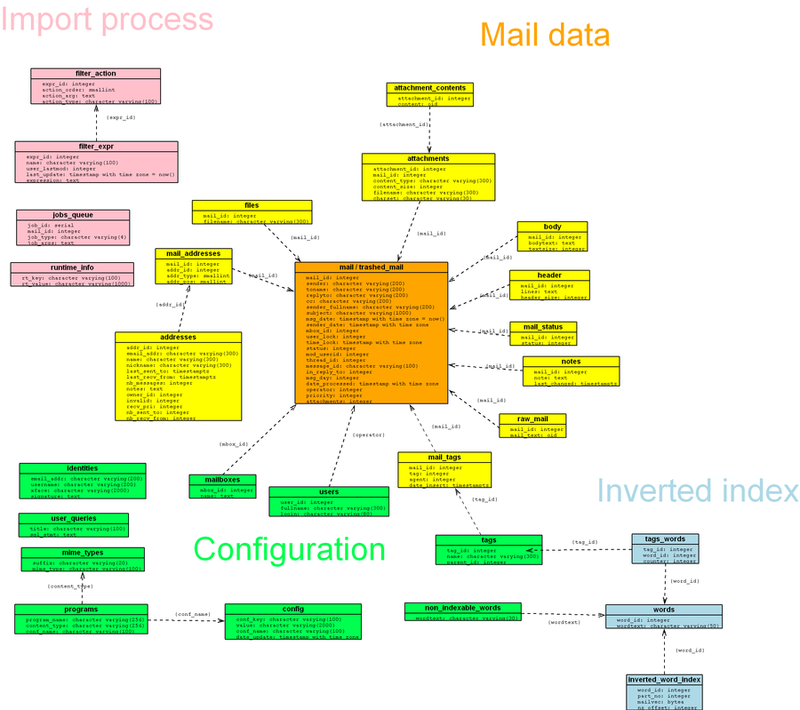 manitou-mdx is a Perl program that is responsible for importing incoming mail into the database, and exporting outgoing mail to a Mail Transfert Agent. MDX stands for Mail Database eXchanger. It generally runs as a daemon (a permanent process in background) although it can also be invoked as a normal command to import existing mailboxes. Its functionalities can be vastly extended by user-contributed plugins written in the Perl language. The main documentation for manitou-mdx is part of the Manitou-Mail's manual. Debian package How to create a debian package from scratch for manitou-mdx. Filters On the use of server-side mail filters. Word extractors External scripts that extract text from attachments for the full-text indexer. The Plugins page provides documentation and sample plugins. Access rights Scripts to grant access rights for multi-user installations. For the latest version. “Latest” here means the latest known to the manitou-mgr command.